Comfort and “wearability” are very important for helmets that are going to be used regularly or for long periods. 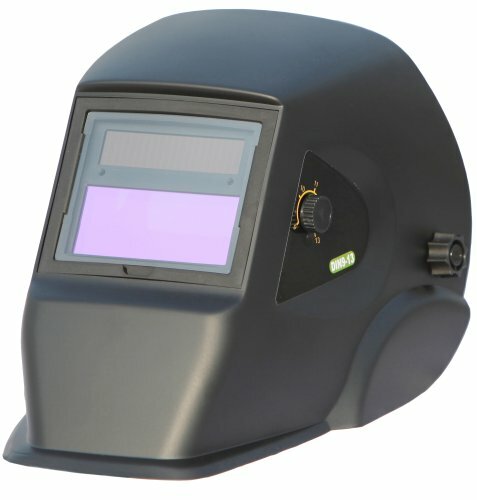 Safety of course is even more important, and the best welding helmet will always include a face shield with an auto-darkening lens. Single shade lenses are still available, but require you to take your attention away from the job at hand, either by flicking your head or using a hand to raise and lower the faceplate. 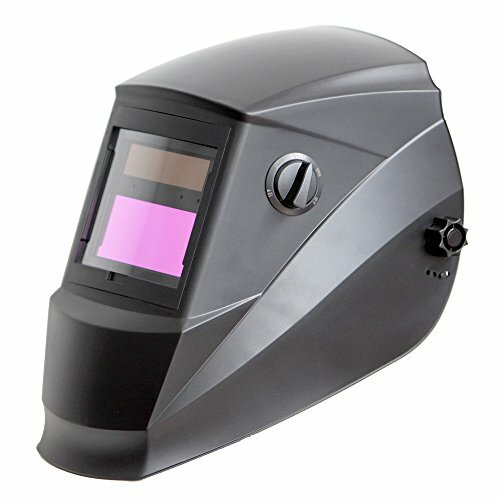 Instead, the top ranked welding helmets are auto-darkening and solar-powered, which protects your eyes, and you will never have to worry about the lens not darkening because of weak batteries. Solar power may be a bit misleading, though, because the light emitted during grinding and welding is usually all you need to keep the batteries charged. If you’re looking for a high quality, American-made product, the Jackson W70 BH3 is a good way to help the economy while buying your own tools of the trade. The viewing lens is large enough to see what you’re doing from any angle, and auto-darkening only takes a fraction of a second, which means you are protecting your eyes from sparks as well as potentially harmful infrared and ultraviolet light. If you work in a setting which is frequently inspected by OSHA, you will love that the W70 BH3 adheres to strict ANSI Z87.1 standards, and you can even use it while wearing a hard hat. It’s perfect for stick, MIG, TIG, and even plasma cutting. The Jackson model weighs a little more than the other options below, and costs a “little” more as well. But the design is intended to protect your entire head and neck, and that requires a little more bulk and material, so the value works out higher. To make the helmet more versatile, there are headgear adjustments to fit your size or allow for different operations. 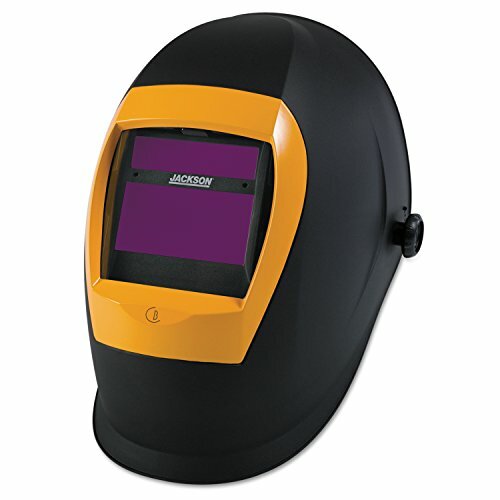 Even better, Jackson Helmets are designed to accept magnification filters for more accurate welding. The W70 BH3 is more solidly built than the less expensive models, and that earns it the top rating for home and industrial use. Antra welding helmets are a good deal if you’re not a welder by trade and the AH6-260 has been a popular choice for years as shown by the nearly 1,000 positive reviews on its Amazon page. You can adjust the darkening sensitivity and delay to match up with whatever you’re doing whether it be grinding, TIG, MIG, plasma, or using an oxy torch kit. The adjustable knobs and tilt mechanism are not designed as well as they could be, but that will only be a problem if you’re going to use the helmet for hours at a time. If you are a welding hobbyist, the solar-powered auto-darkening eliminates the need for lifting the faceplate up and down, which will increase the precision of your welds. You’ll like the easy to use head adjustments to get a better fit, which makes this one of the best values in welding helmets you will find. The solar powered feature might save you money over the long term because you won’t have to buy batteries, but you may get more satisfaction out of the bragging rights for telling people you’re an eco-friendly welder. If you’re going to use your welding helmet for long stretches, the ArcPro 20702 is good choice because of the adjustable padded headband. It will reduce slipping and take some of the strain of having the extra weight hanging from your head. Aside from the grinding and sensitivity buttons being less user friendly then they could be, there are very few drawbacks. 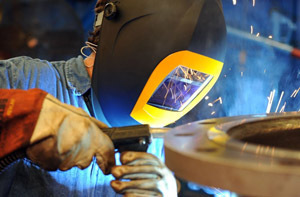 The helmet is lighter than the other top pick welding helmets, even though it has similar features, including a lens that auto-darkens in only a 10,000th of a second. If welding is your trade, the only problem is that the knobs and buttons may not stand up to heavy, long term use, but it’s an affordable and fully featured model for home or occasional usage.